There are two things I can never get enough of: puppies and food that is Buffalo-style. On February 2nd, I can indulge in both. While most of the country will be watching something called the Super Bowl, I’ll be settling with lots of red, messy, finger-licking deliciousness while watching the Puppy Bowl. 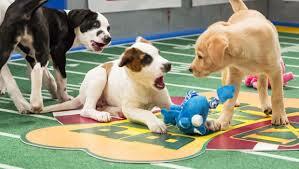 Puppy Bowl X will be airing on Animal Planet starting at 3 PM EST. 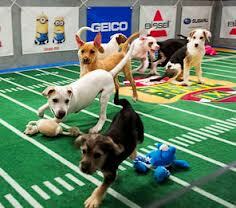 If you have never watched the Puppy Bowl, you are missing out on hours and hours of cuteness overload. A dozen puppies who come from shelters all over the country come to play on a make-shift football field. These cuties run and play with toys – including toy footballs, chasing and tackling each other, and just looking downright adorable! There are cameras in the water bowl for close-up slurping action shots, a kitty half-time show, cheerleaders in the form of bunnies, guinea pigs and other furbabies with pom poms and a blimp that is piloted by hamsters. איך וויסן! Too cute! While watching this adorable show that makes me exclaim “Awwww” every minute (which upsets Benny to no end because I am only supposed to make that sound for him and his adorableness), the menu is an assortment of appetizers and starters. 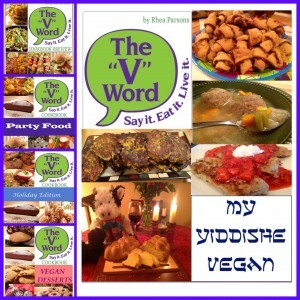 מייַן יבער באָוול פארטיי מעניו (from back when the Giants were in – and won – the Super Bowl) is filled with tons of appetizing starters as well as entrees and desserts. We’re talking Spinach Artichoke Dip, מאָזזאַרעללאַ סטיקס, פּאַטלעזשאַן פרייז, דזשאַלאַפּענאָ פּאָפּפּערס, Mini-Calzones and so much more!! 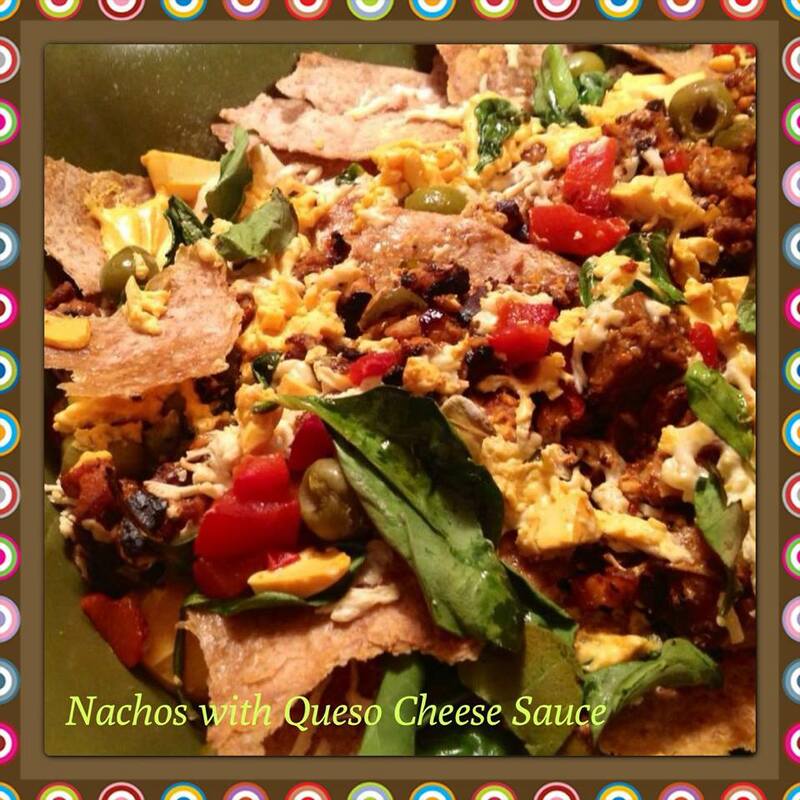 There is also my Super Bowl/Puppy Bowl Nachos with homemade vegan Queso cheese sauce! For help in party planning, check out דר. 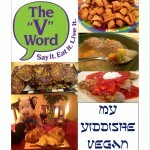 V’s post about scoring a touchdown with delicious vegan party food. Especially the Buffalo-style food. 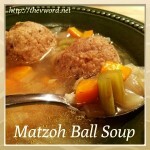 And now joining my family of Buffalo-style dishes is my latest recipe for בופלאָקס טעמפּעה מעאַטבאַללס. I developed a recipe for Tempeh Meatballs which I haven’t shared yet (though I’ve posted pictures just to tempt you with). 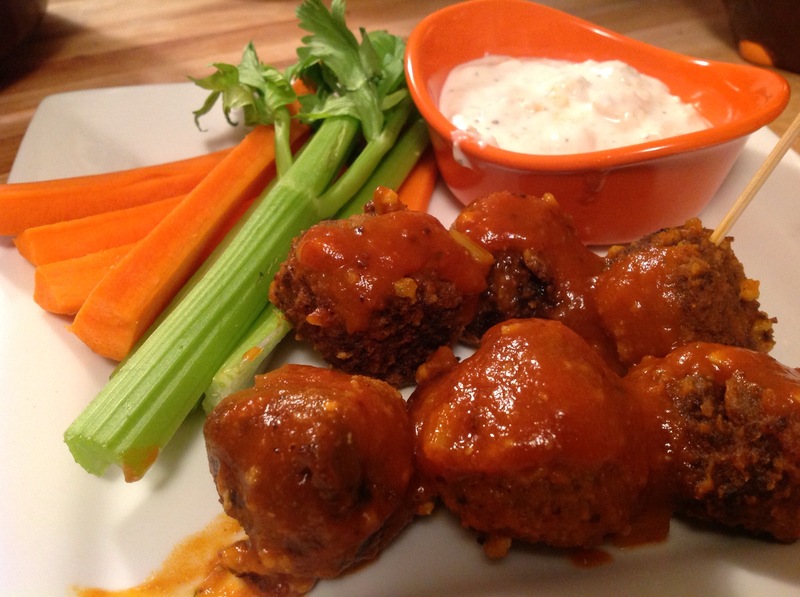 The only thing better than tempeh meatballs is mini-tempeh meatballs that you can just pop in your mouth. 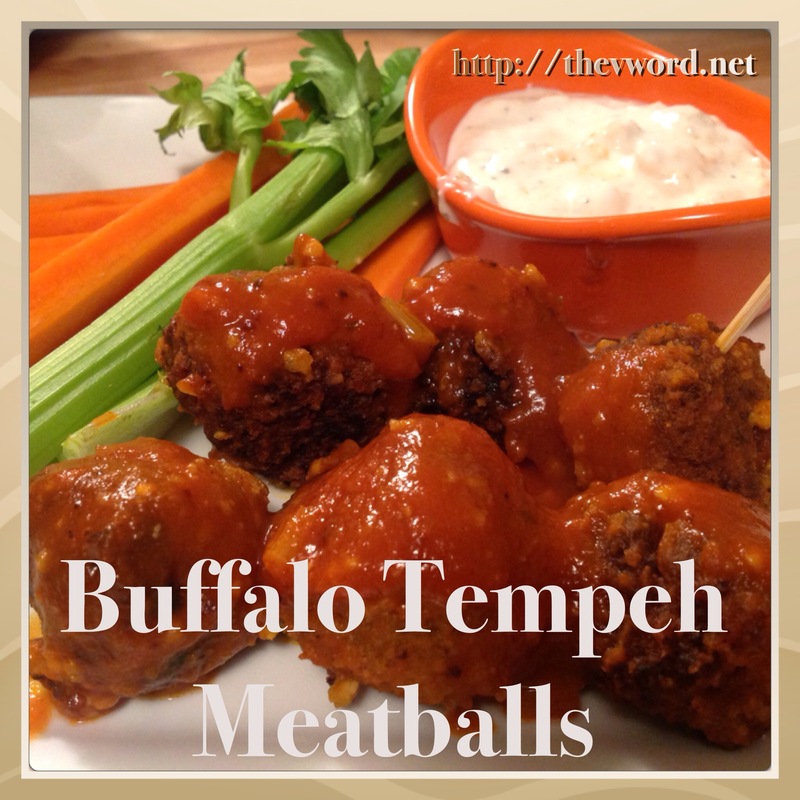 And the only thing better than mini-tempeh meatballs is Buffalo Tempeh Meatballs. איך וויסן! These little tempeh meatballs are moist and flavorful. Very easy to make. Then they get tossed in a hot, spicy Buffalo tomato sauce. It’s a little different than the Buffalo sauce that I’ve put on tofu and cauliflower. It’s more like a Buffalo marinara sauce – tomato-y and spicy at the same time. I serve them with celery and carrot sticks and vegan blue cheese dressing. 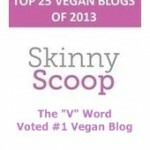 Vegan Gourmet has a vegan blue cheese dressing you can buy in most big stores. Or you can whip up a quick ranch-style dressing with vegan sour cream and mayo. 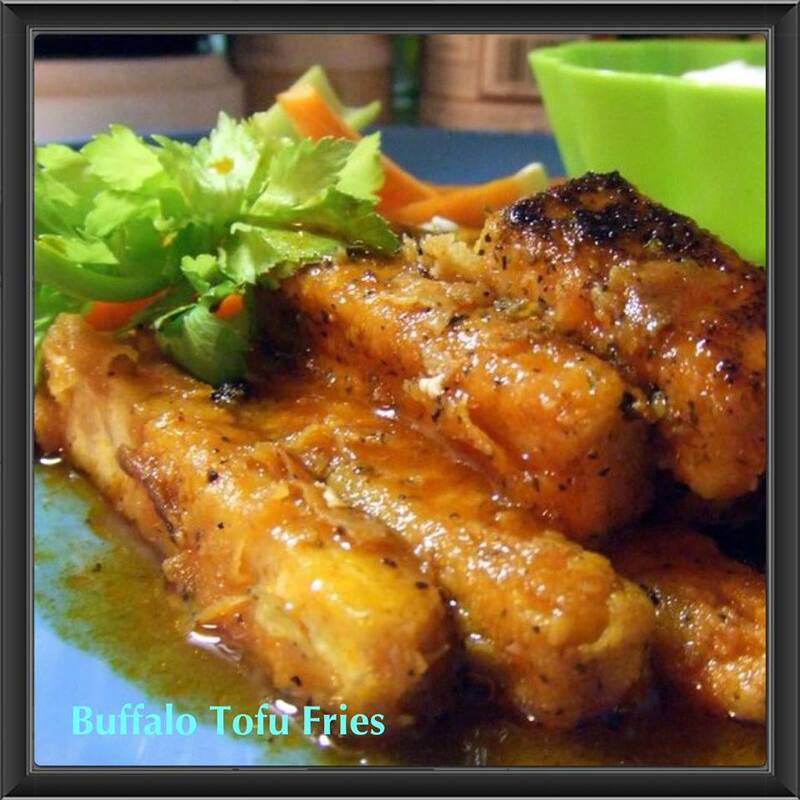 Whether you watch the Super Bowl or the Puppy Bowl, make sure you have a vegan feast to celebrate with and make sure my Buffalo Tempeh Meatballs are part of the lineup. האַנאָע האָבן! In a small mug, פאַרבינדן די פלאַקסיד און וואַרעם וואַסער. Mix and let sit for about 10 מינוט. דעם איז דיין בינדער. 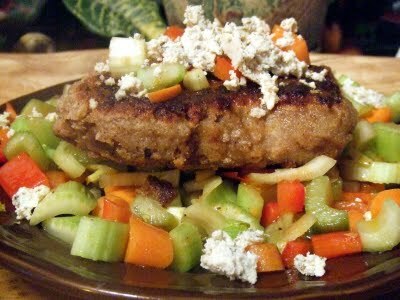 Break up the tempeh and add it to a food processor. לייג די ציבעלע, מער, סעלדעריי, סקאַליאַנז, קנאָבל, וואָרסעסטערשירע סאָוס, and the parmesan or nutritional yeast to the food processor. Process until everything is combined. 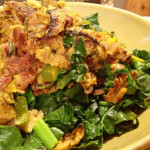 Add the parsley, אָרעגאַנאָ, cayenne and salt to the food processor. 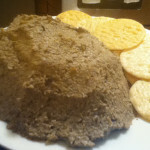 Add the flax mixture and 1/3 cup of bread crumbs to the food processor and process until well combined. טעם פֿאַר געווירץ אַדזשאַסטמאַנץ. Spread the remaining ¼ cup of bread crumbs on a plate. 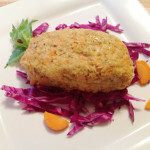 Using a spoon, scoop up some of the tempeh mix and roll it into a ball – about 1 inch in size. Roll the tempeh meatball in the bread crumbs so that it’s completely covered and set it aside on a baking sheet. 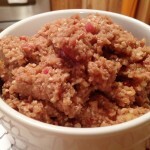 Continue making meatballs until you use up all the tempeh mix. This recipe makes about 28 מיטבאָלז. היץ די ייל אין אַ גרויס סקילאַט איבער מיטל-הויך היץ. Add the tempeh meatballs to the skillet and fry them. 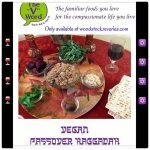 דעפּענדינג אויף די גרייס פון דיין סקילאַט, you may need to fry them in batches. Make sure the meatballs brown on all sides. The way I do this is to pull the skillet back and forth by the handle which makes the tempeh meatballs roll around. I find this covers all the sides better than trying to turn them with a utensil. When they are browned, transfer the meatballs back to the baking sheet lined with paper towels. אין אַ קליין פאַן, melt the butter over medium heat. לייג די הייס סאָוס, tomato sauce and broth to the pan. Mix and bring the sauce to a boil. Reduce the heat and let simmer until it thickens, וועגן 7 מינוט. Remove the sauce from the heat and let it cool down a bit. 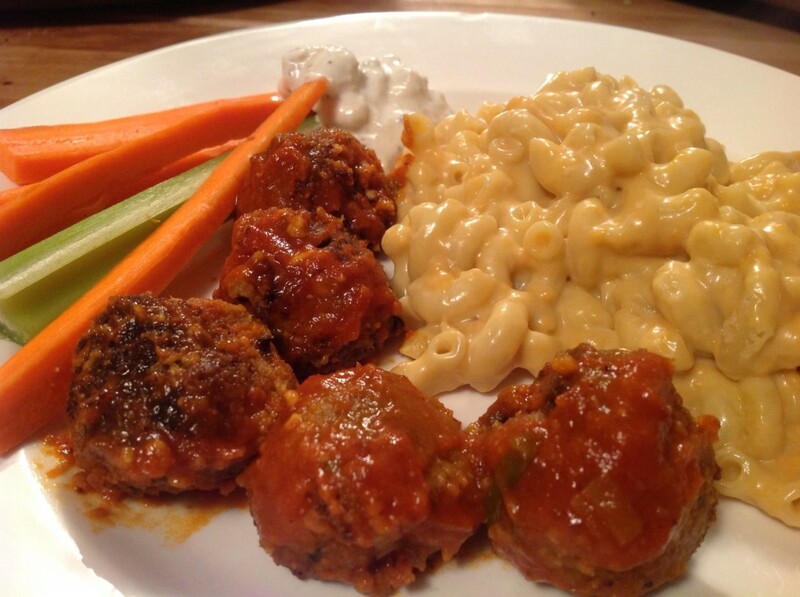 If the tempeh meatballs go into boiling hot sauce, they could fall apart. 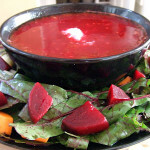 When the sauce cools down a bit, transfer it into a large bowl. Add the meatballs to the sauce and toss gently to coat. 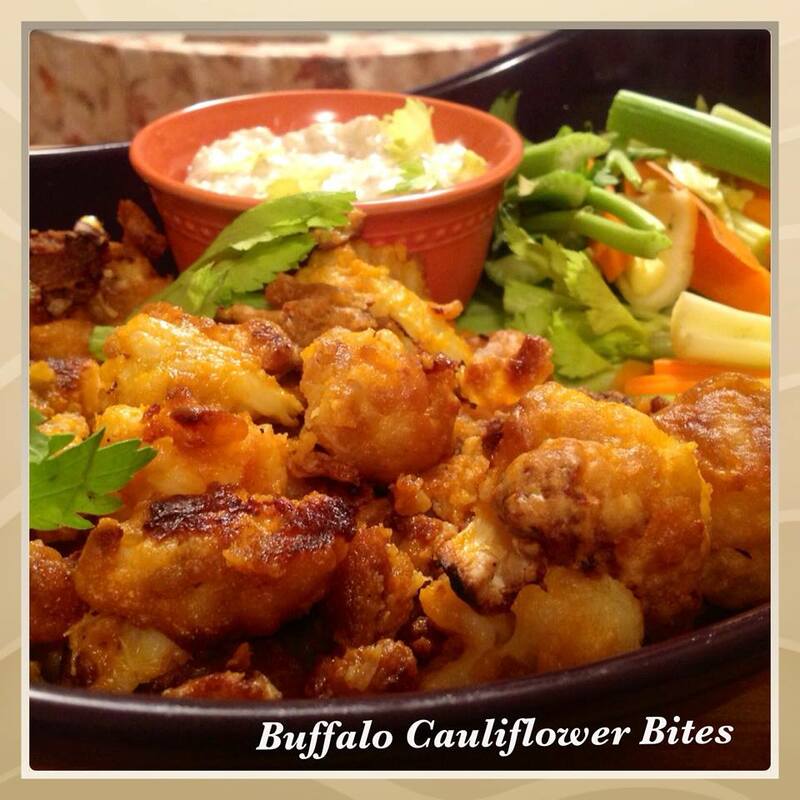 Serve with carrot and celery sticks and vegan blue cheese dressing for dipping. ריאַ, you are a genius! 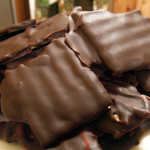 All the recipes I’ve made so far, have been a huge success! 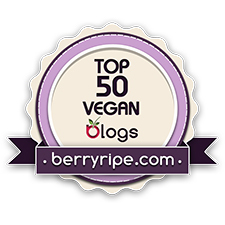 I have also converted my oldest daughter to veganism! Her fave one is the Italian sausage using the black beans (yum!) and what about the chickpea fritters? She is always asking me when I am going to do the next batch. 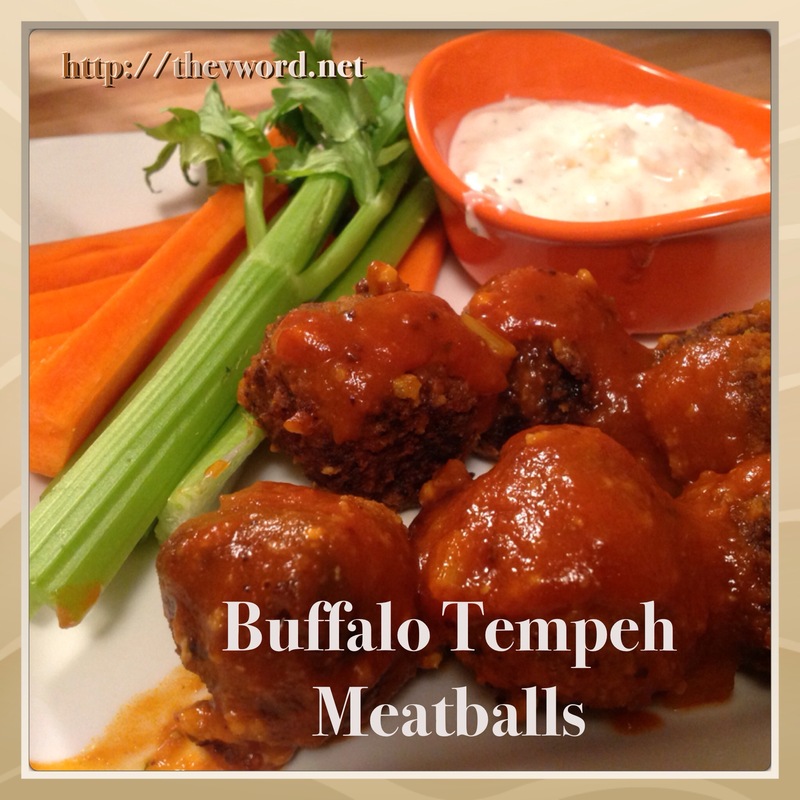 Now I am doing a batch of this buffalo meatballs not using tempeh but your own V meat, the beef version….It is smelling sooooo good right now! I think your V-meat is my new favorite meat. 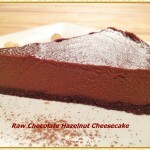 Keep on sharing your fantastic recipes, you have a follower for life!!!!! Thank you Lina. Have you tasted the V-Meat yet? I’m curious if people like it. איך בין צופרידן צו הערן דיין טאָכטער האט קומען צו די מין זייַט 🙂 דאנק איר אַזוי פיל פֿאַר לעטינג מיר וויסן! !